When asked whether Dragon Age was a trilogy, Dr. Ray Muzyka from BioWare joked that there were seventeen more DA games coming. With two highly successful franchises underway at BioWare, Dragon Age and Mass Effect, it was only a matter of time before someone asked the question of how many more games we could anticipate in each series. While Mass Effect is more of a hard trilogy with a defined story end point, Dr. Ray Muzyka, CEO, and Greg Zeschuk, creative officer at BioWare said that Dragon Age could have an "infinite" number of games in the franchise. Both Dragon Age and Mass Effect are franchises so they have different strategies and different kinds of story arcs but we plan on continuing to make games and worlds and expanding on those worlds in both franchises. Both in different ways, but we want to continue to provide content to fans, whether that be separate games or new adventures that have very different kinds of gameplay. So we have some cool stuff for both of them that we're exploring that'll be fun and different for the fans, and yet in a familiar setting at the same time. Zeschuk added that the number of Dragon Age games could increase as long as there is demand for them. "In the case of Dragon Age, it's exciting because there's this whole timeline and geography," he said. "So with Mass Effect, we're constantly thinking about the trilogy. But with Dragon Age, it's more open and you can put more all over the place. Seventeen... Sixty-six? Infinite! 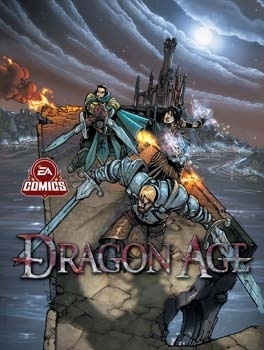 Infinite games for the Dragon Age universe!" BioWare has definitely been aggressive with DLC and expansions for its dark fantasy franchise this year, with Awakenings released a mere 5 months after the original game and a comic book coming this spring, as well as a sequel already being hinted at.